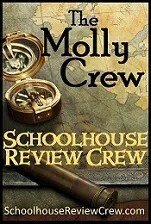 If you’re familiar with the The Old Schoolhouse magazine, you are probably familiar with Molly Green. 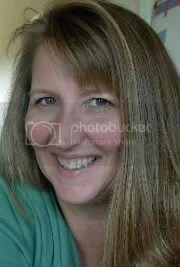 She’s the economy-busting, frugal minded namesake of the Molly Green Magazine. From there the Molly Crew was created to compliment the TOS Review Crew. While the TOS Review Crew reviews homeschooling and educational products, the Molly Crew will be reviewing all things home-related from kitchen gadgets to cookbooks to gardening supplies, and maybe even food! So let me introduce the very first Molly Crew review items. Everyday Homemaking, a company dedicated to homeschooling and homemaking, has a couple of fabulous resources that our crew had the great pleasure to check out. Part of the crew reviewed their book The Everyday Family Chore System, while some of us had the great pleasure to dig into Everyday Cooking. 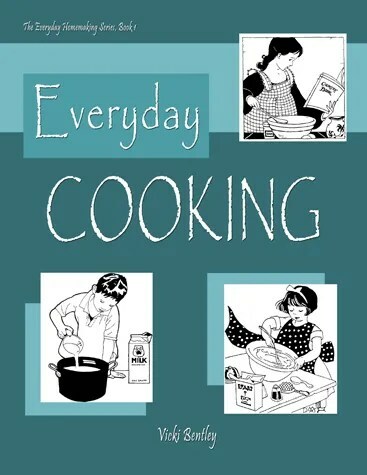 I received the ebook version of Everyday Cooking for download which you can purchase from the EH website for $14.99. 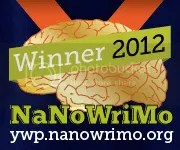 The book can also be purchased as a coil-bound, glossy cover print book for $17.99 plus shipping. If you visit the website you can see sample pages and try out some sample recipes. Ok folks. I LOVE this cookbook! It’s way more than your average collection of recipes. The first thing I did was print it out and assemble it into a binder. I printed the cover on cardstock and slipped it in the front see-through cover of the binder. It looks great and has been super-durable. I love the download option because I can always print more pages if I splash something on one. I do think eventually I’ll end up with the pages in page protectors, though, for more durability in the kitchen. I LOVE being able to have the binder right there with me on the counter. One of my favorite things about this book is that I felt like I was standing in a friend’s kitchen soaking up some practical tips that were fixin-ta make my crazy-schedule a whole lot easier. I strive to create wholesome meals for my family, but all too often it ends up being the same-ole thing week after week. I am very particular about using whole, natural ingredients. While we don’t struggle with food allergies (except my middle child has a self-diagnosed vegetable and fruit allergy), I don’t allow processed high fructose corn syrup or partially hydrogenated ingredients into my home if I can at all help it. I say that because while I strive to use whole unprocessed, non-modified foods, sometimes time and finances don’t allow me to feed my family (and myself) the way I desire or know is the best way. But I do give it my best. And I totally appreciate Vicki Bentley (the author of Everyday Cooking) helping me out with this. That being said, I was absolutely thrilled to find a cookbook with my very own mindset included. This book is jam-packed full of tips for saving time in creating wholesome meals, preparing ingredients ahead of time and freezing them; it speaks of buying and cooking in quantity, what works best and what doesn’t work so well, and includes tons of budget-stretching, timesaving tips throughout the whole book. I love that I could be all excited about reading through a cool recipe then come to a little gray box of hints or tips that put some delicious icing on the cake! I was also surprised to find a series of colored pictures clarifying just how and what in a few places. It includes many specifics on brands, types and comparisons of costs on kitchen aids like mixers, grinders, etc. I think the book is worth the cost for the tips alone!! Now that’s not to take anything away from the practical and very do-able recipes. This isn’t a book full of high-end top chef, wannabe recipes. It’s stuff you can and will do. Everything in here is totally do-able.It’s really motivating to find such a practical resource. I also LOVE the commentary, charts, helps and aids at the end of the book. There’s even commentary on high school home-ec credit. It’s really pretty awesome. I found several recipes in here that I already use, some with variations I appreciate. That just goes to show you how practical this book really is for everyday meals! Now this book has also come at a great time for us because our 4-H food show is coming up this month and it centers around creating a healthy dish and knowing the ingredients and health benefits of them among other things. My kids have had a ball looking through this trying to pick just what they want to do. Pretty much every recipe in this book fits the requirements too, because most have less than seven, whole, nutritious, unprocessed ingredients. All my kids love to cook, so I was curious to see who would try this out first. Right away my oldest made a batch of tortillas, making some plain and some with the variation described in the book. They were awesome! I totally LOVE the Mochiko Chicken which is listed in the appetizers, but actually makes a super-great main dish for us and has given me some wonderful ideas for home made flour and ways to pre-marinate things. Levi is really set on making the porcupine meatballs for his project. We learned stuff about eggs we didn’t know that will sure make things easier; we learned how to put ingredients together that I never would have thought of, buffet tips, slick-tricks on minimizing the mess, cool uses of gadgets, ways to make your own staple items, new variations on old boring dishes, ideas for housewarming gifts, and more. Stay tuned for updates on our 4-H Food Show adventures to see what we made! For more reviews of Everyday Cooking and The Everyday Family Chore System visit our Crew Blog! Disclaimer~I received a download of this product for review purposes as a member of the Molly Crew. No other compensation was received and opinions are my own. Categories: Molly Crew Reviews, TOS Crew Reviews 2012 | Tags: high school cooking credit, kids cooking, Whole foods cookbook | Permalink.